The House of Representatives on Wednesday afternoon overwhelmingly passed a bipartisan bill to prevent gun violence in schools, though Republican leaders of the GOP-controlled chamber made clear earlier in the day that they have no plans to impose any gun bans. The unofficial vote on the STOP School Violence Act was 407 to 10. “We believe the best way is to focus on stopping people who should not be getting any guns from getting guns in the first place,” House Speaker Paul Ryan, R-Wis., said ahead of the vote and as students across the county emptied their classrooms to protest gun violence. The National School Walkout lasted 17 minutes, one for each person killed exactly one month ago in a massacre at a Parkland, Florida, high school. “I used to tell my community and my officers that I don’t want to be the best first-responder to a mass-casualty event. I want to prevent that event before it occurs. And that’s what (this bill) will do,” Florida Rep. John Rutherford, a former sheriff who sponsored the STOP bill, said Wednesday. “This bill gives students, teachers (and others) the tools to recognize the early-warning signs to prevent violence from even entering our school grounds,” Rutherford added, while acknowledging the measure is just “one more step” toward curbing school violence. House Majority Leader Kevin McCarthy, R-Calif., earlier in the day predicted the bill would pass with “large bipartisan” support. The bill has more than 75 co-sponsors, including Florida Democratic Rep. Ted Deutch, in whose district the Florida school shooting occurred. He told NPR on Wednesday that the bill is not going to address all of the problems. “The fact is, we know the kinds of steps that have to be taken to do that," he said. 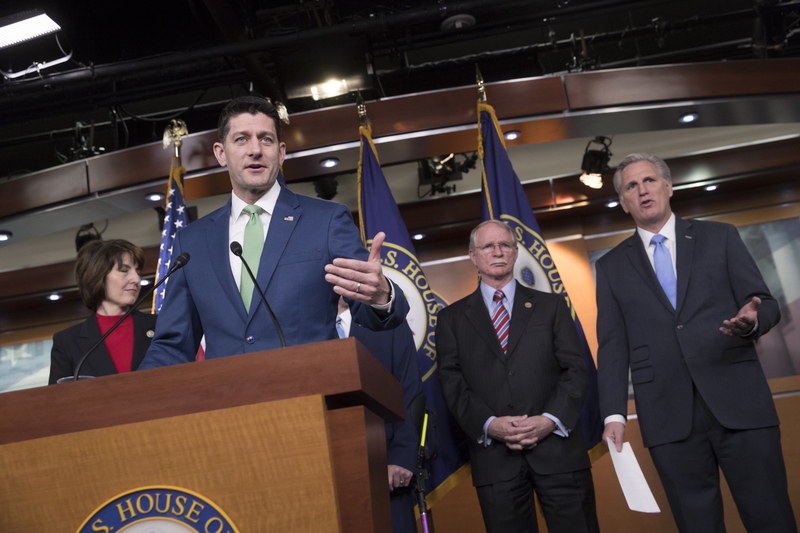 Ryan also argued Wednesday that the House has already passed legislation to help local law enforcement and others put information into the National Instant Criminal Background Check System, which flags potentially dangerous gun buyers. He and other Washington Republicans have also argued since the massacre that a major focus should be on law enforcement lapses that allowed it to happen and to prevent anything similar in the future. The GOP-controlled Senate is now considering a version of the so-called “NICS Fix” bill. The STOP School Violence Act will offer $50 million annually to states to help train students, teachers and law enforcement to prevent violence and suicides in schools. The program would train students, school personnel and local police on how to identify warning signs and intervene to stop violence and suicide. It would also help develop and implement anonymous reporting systems for threats of school violence. Hi, I do think your site might be having browser compatibility problems. When I look at your blog in Safari, it looks fine however when opening in Internet Explorer, it's got some overlapping issues. I visited many web pages except the audio feature for audio songs existing at this website is really superb. Hi, I do believe this is a great blog. I stumbledupon it ;) I may come back once again since I bookmarked it. site. It appears as if some of the text within your content are running off the screen. Can somebody else please comment and let me know if this is happening to them as well?